Storms are firing once again in the area and some locations are receiving heavy rainfall. 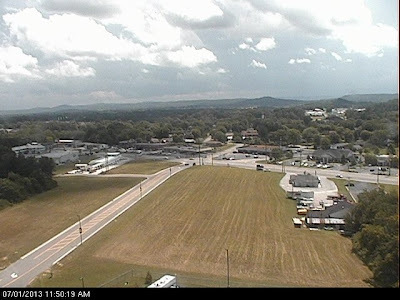 Check out the photo above with it's view to the east from the EMA camera located on Willow Avenue. There is a Special Weather Statement in effect for the far eastern portion of Putnam County. For the rest of today, a 60% chance of showers and thunderstorms this afternoon. Some storms may produce heavy rainfall in a short period of time causing flash flooding conditions. Highs this afternoon will climb into the lower 80's. 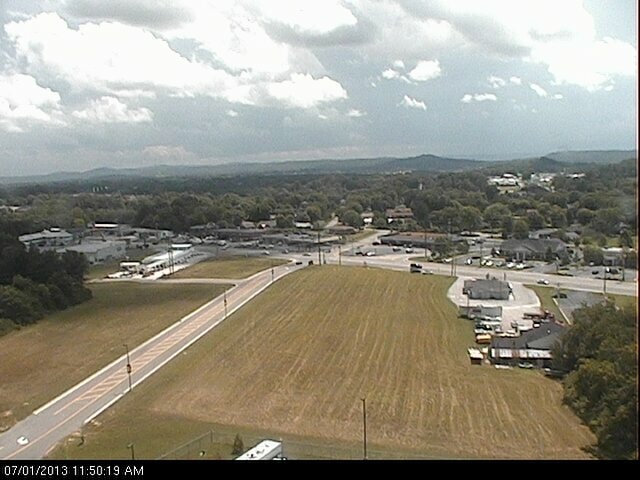 Yesterday's heavy rainfall produced 1.18" in just over an hour in northeast Cookeville.